This last Monday I had to transition from nights to days. In order to stay up (so that I can sleep that night) I try to keep busy. The trick is that when you are sleep deprived you really shouldn't be doing anything of consequence because you're likely to wreck something. 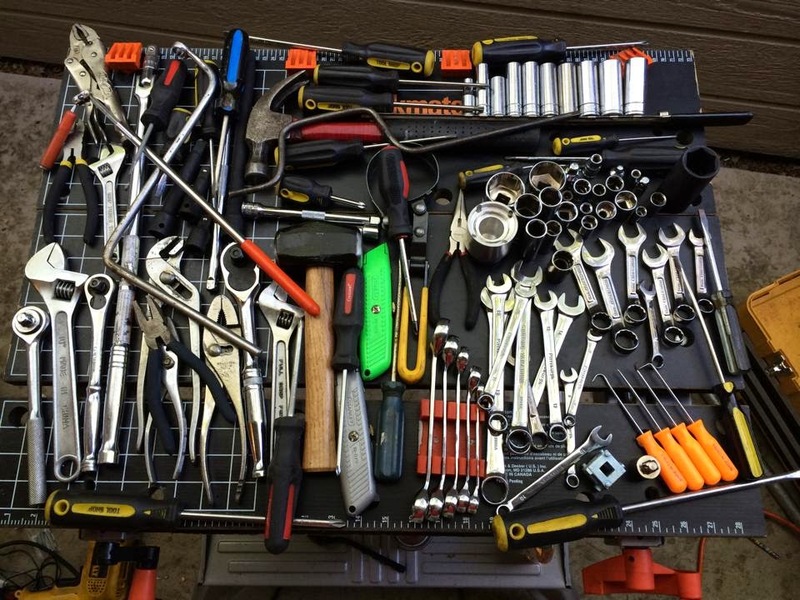 So after working on my bicycle for a little bit I switched to cleaning and organizing my four toolboxes worth of tools once I started to feel loopy. Here's a shot of the smattering of the contents of one of the toolboxes. Very little of it matches and some of it was handed down to me from my dad many many years ago, a lot of it was made in China, and while it is quite the hodgepodge. This menagerie of tools has maintained 8 of my cars, 3 motorcycles one of which was brought back to life from deaths door, completed numerous around the house projects and fixed their share of bicycles too. Fancy tools are nice but sometimes it comes down to who's turning the handles.